It’s been far too long – I’ve missed posting. In late March, I injured myself rotary cutting far too much for far too long. 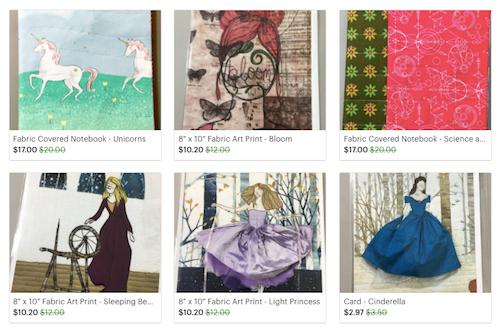 I was prepping fabric and batting for lots and lots of art quilts. I strongly recommend pacing yourself with receptive tasks – oh did my shoulder hurt and I had reduced range of motion – I couldn’t hook/unhook my own bra. 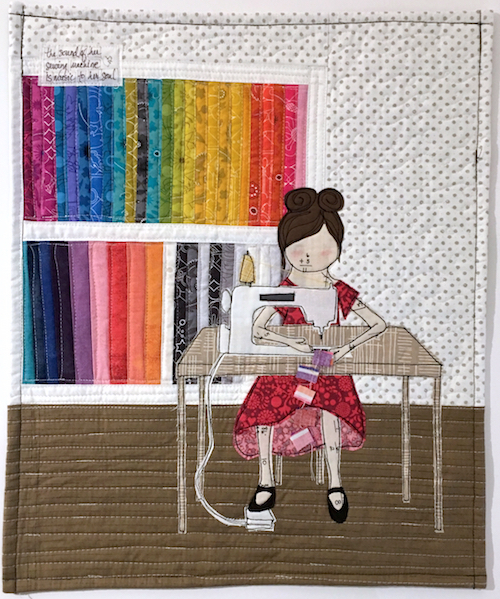 After a few sessions of physical therapy, it was clear that I had to slow down – no cutting, very little sewing, no ironing, no folding papers and journal cover, very little computer time. I needed a long break to let my arm heal. Thankfully, I had two weeks of travel planned for early April. 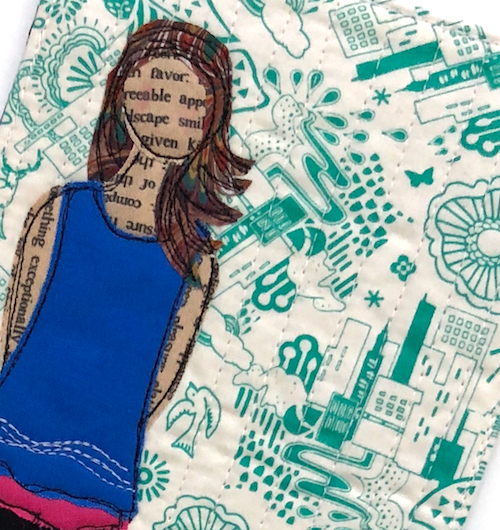 I spent a week in San Antonio at the SAQA conference where I met lots of art quilters and filled my head with ideas and my sketchbook with doodled notes. I spent another week in Indiana visiting family, seeing friends and teaching a workshop. I drove more in 8 days than I normally drive in 6 months living in Alaska. It may be a big state, but we don’t have a lot of roads. I came home thinking I had rested enough – not quite. There’s been ongoing physical therapy and forcing myself to create in shorter bursts. Last week I celebrated when I could finally do up my bra the normal way. The worst part about being injured has been realizing that I can’t keep up my usual creative making pace – not without an assistant or laser-cutter. 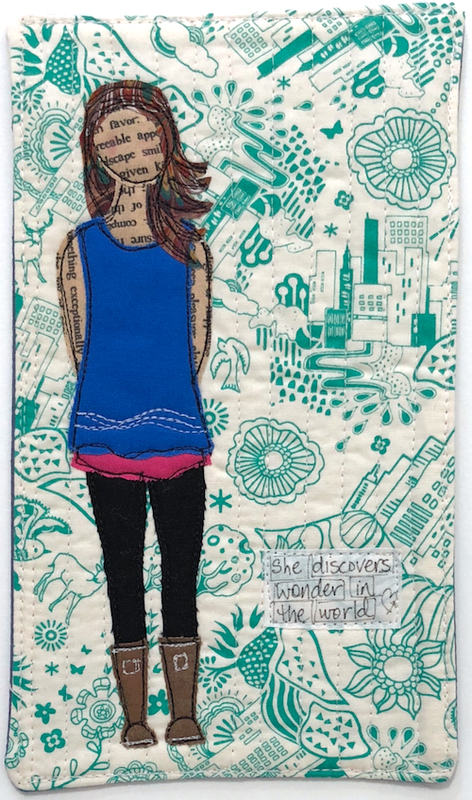 I have to stop beating myself up about missing my self imposed deadlines to stitch enough art quilts and journals to have ample and extra inventory available. 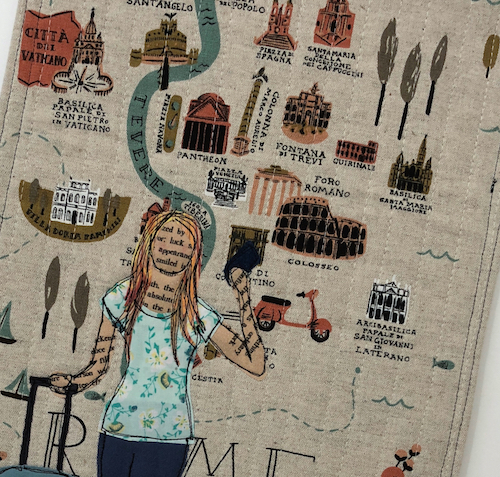 It’s a daily battle in my brain to understand that my plans to make and stitch have to be balanced against not doing the same task for long periods of time. In other words, slow and steady progress is better than finishing fast and being hurt. With summer soon to arrive, the call of the sun will hopefully pull me out of the studio and give my arm a break a more frequently than I had been. That’s not my arm, but it is fantastic. 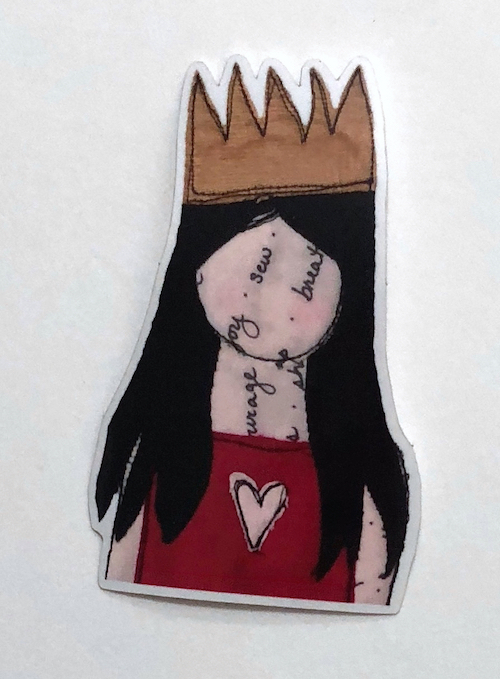 My queen of hearts quilt became a sticker and then it became a tattoo. The arm belongs to the magical Annie Ciszak Pazar who is part of a local co-op gallery with me. We also have holiday bazaar booths across from each other – I’m mesmerized by her knitting skills and love her jewelry. Go see Annie’s one of a kind funktastic jewelry and magical knits at Annie’s Arts & Follies. 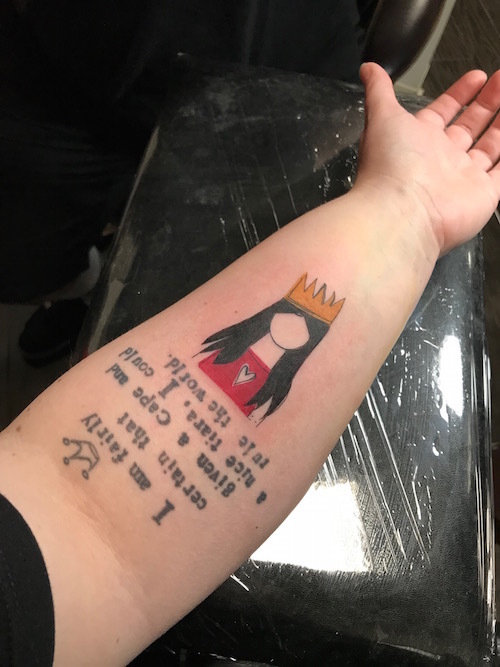 If you ever want to turn my art into a tattoo – let me know – this has totally made my day!!! I’ve been seeking new “skin tones” for my art quilts. 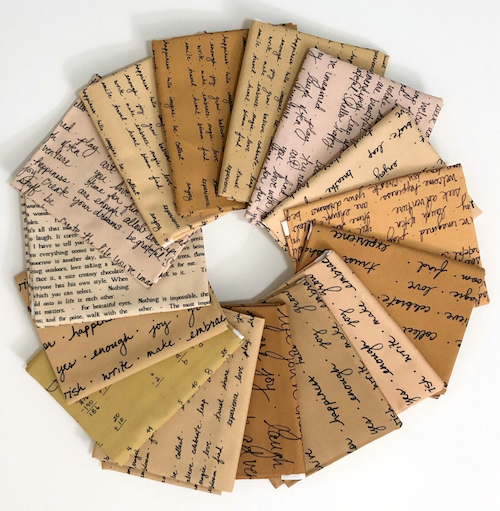 I often cannot find the variety I want from commercially available fabrics, so I started designing some new fabrics with my own handwriting or text. I love sharing my obsessions so I won’t be keeping these all to myself – I’ve added them to my Etsy shop. 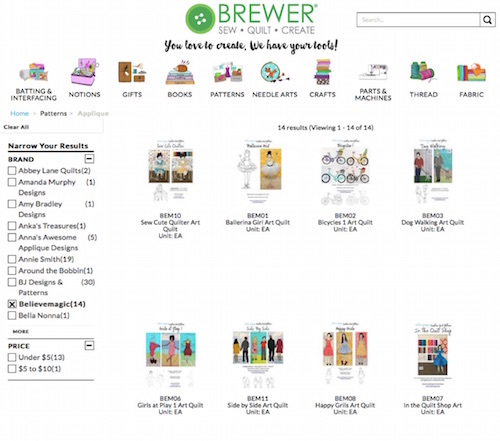 A few months ago, Brewer Sewing and Quilting Supplies, a wholesale distributor to quilt shops, started carrying my patterns! 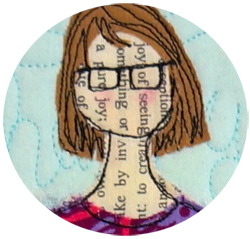 It’s a new adventure for me but my favorite part about joining Brewer is that I can inspire creativity in even more quilters and crafters. If you’d like to get your hands on my paper patterns, tell your local quilt shop to order a few when they next order from Brewer. I’ve been cleaning my studio and office space to prepare for a new year of creative fun. 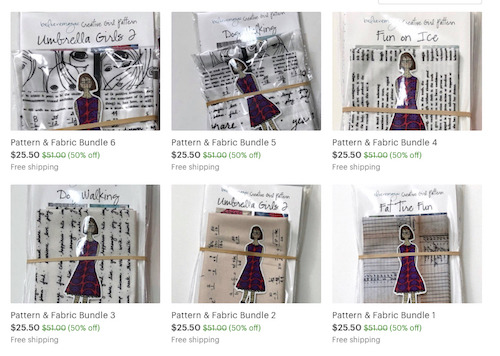 I needed to make some room for storing patterns and fabric, so I put together some fun bundles of paper patterns and fabric in my Etsy shop to inspire your creative play. The best part – they are on sale! I’m off for a bit of traveling fun. 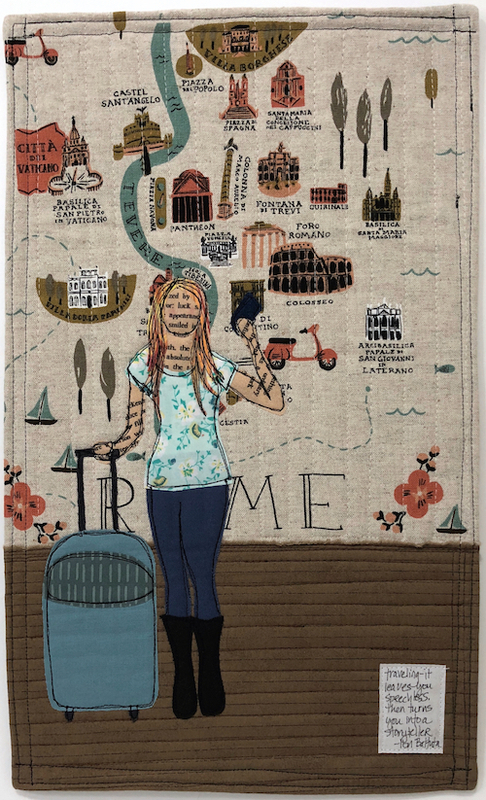 While away, I’m sharing quilts from a mini travel series I created with a fun cotton linen print. Shopping is even more fun when there’s a sale. Like now at believemagic. 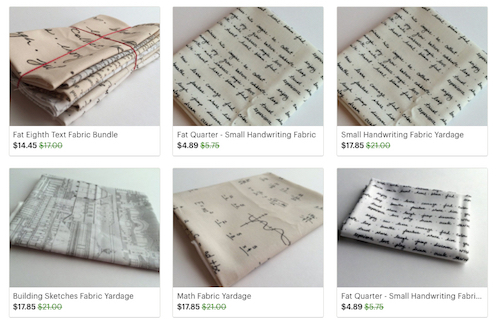 Between today and Dec 1, find 15% of all journals, fabric, prints and cards in my Etsy Shop. No need to get up early or leave the house – those are my favorite types of sales. 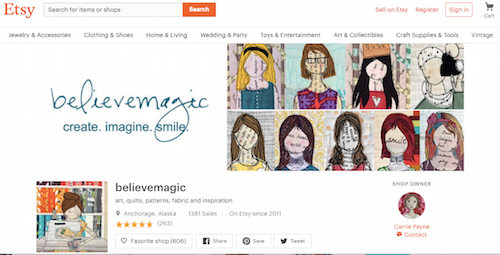 Want art, patterns or fabric? 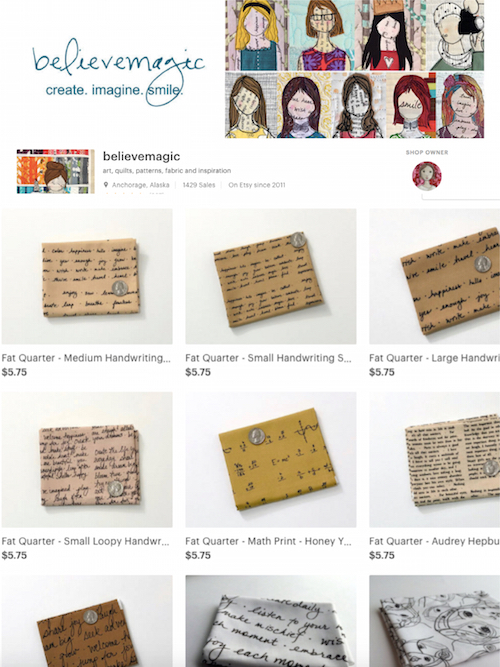 Visit my Etsy shop!